Malaga is the main town of Andalucia on the coast and second city to Seville in the south with a population of about half a million. 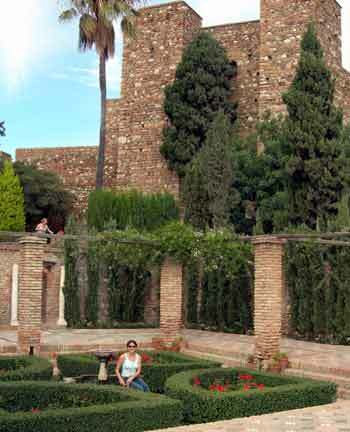 it's airport located between Malaga & Torremolinos is regarded as the gateway to the Costa del Sol. 2 of Malaga's famous sons are Antonio Banderas, the film actor and the great spanish artist Pablo Picasso. There are train/tram connections to the airport with a 30 minute service and because the airport is close to the city only takes about 12 minutes. On the Open top sightseeing bus route stop number 5.